I was walking around my neighborhood in Rome the other night and found this flier from a Roman nightclub on a car windshield. 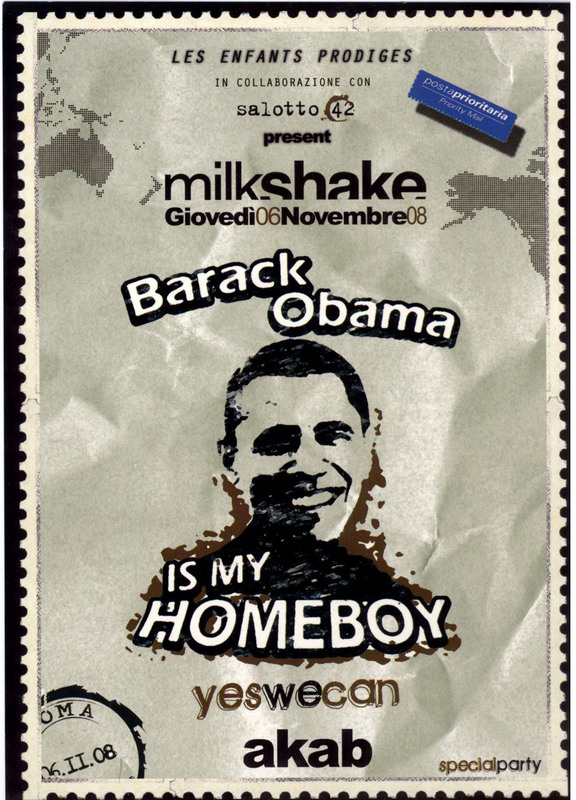 Les Enfants prodiges in collaboration with Salotto 42 are pleased to invite you on 6 November, 2008 to the special party dedicated to Senator Barack Obama. 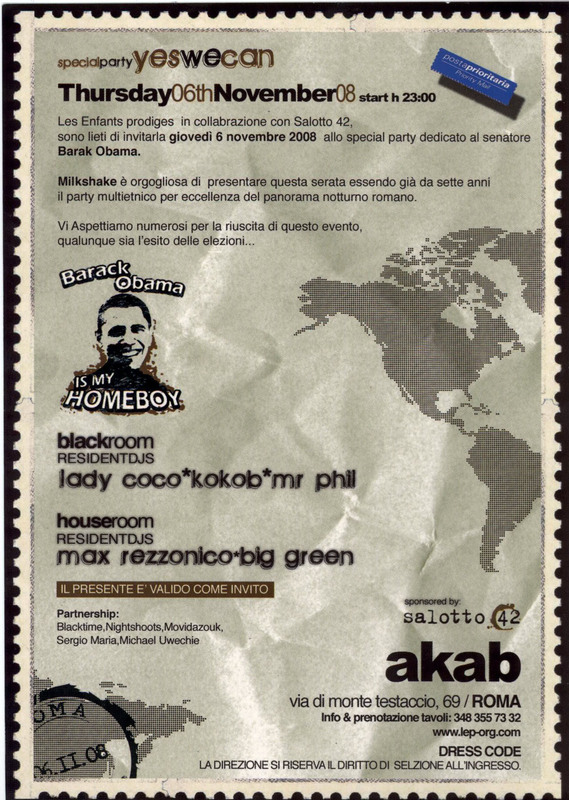 Milkshake is proud to host this party, having been for seven years the multiethnic party par excellence on the Roman nightlife scene. We expect many to turn out for this event, regardless of the outcome of the elections.